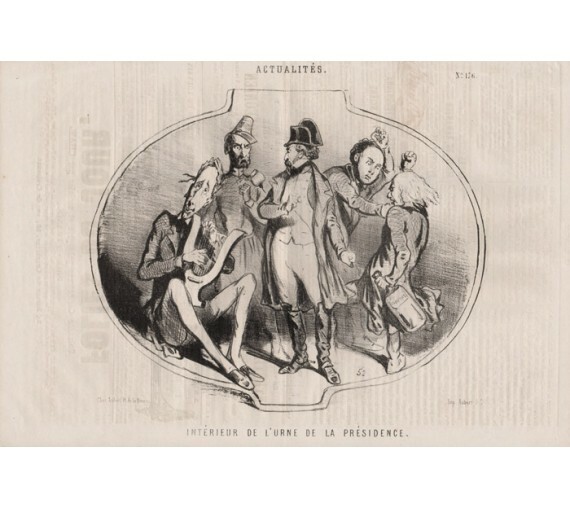 Depicts Ledru-Rollin and Raspail fighting with fists to the right, Cavaignac and Louis-Napoleon (centre) who stare at eachother and Lamartine sitting playing the lyre. 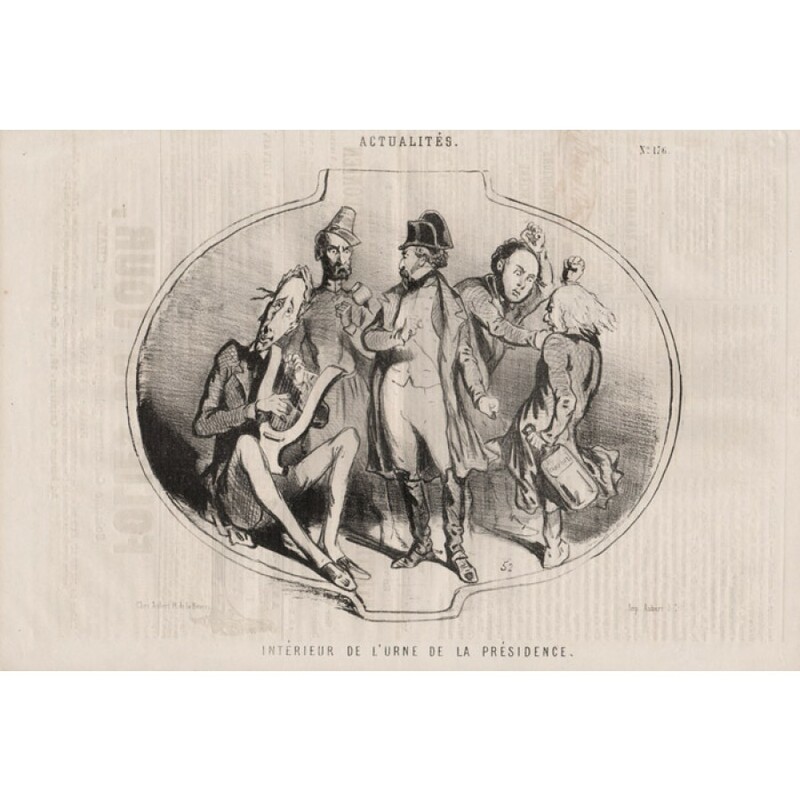 Original lithograph published in Paris in 1848 in the French magazine 'Le Charivari'. 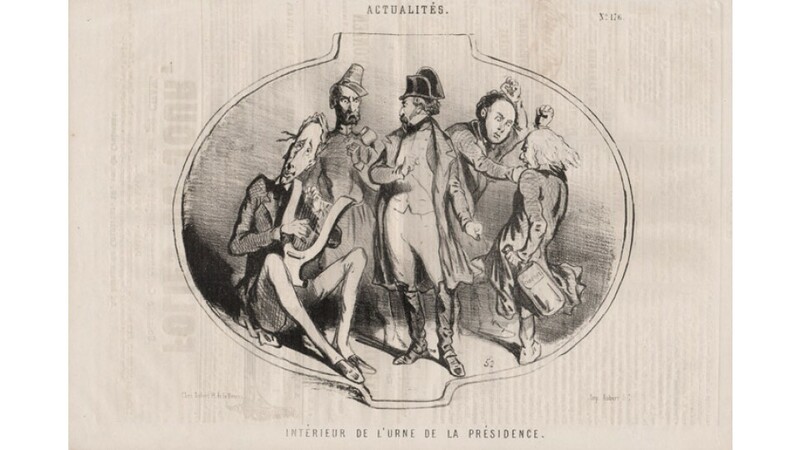 Text on the reverse as issued, which shows through as can be seen in the photo. Faint ink off-setting to top right.